The Standing Stone: Temple Dowling and Temple Hurpan, Clonmacnoise, Co. Offaly. 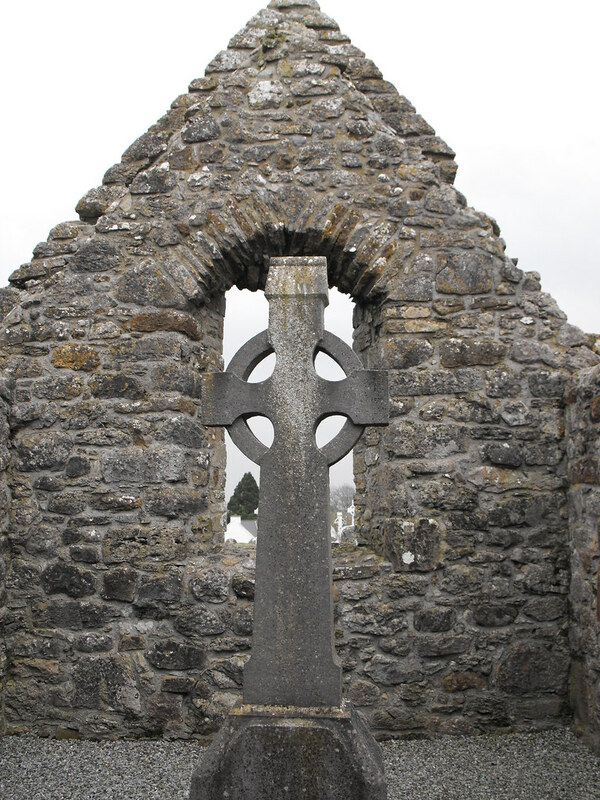 Temple Dowling and Temple Hurpan, Clonmacnoise, Co. Offaly. 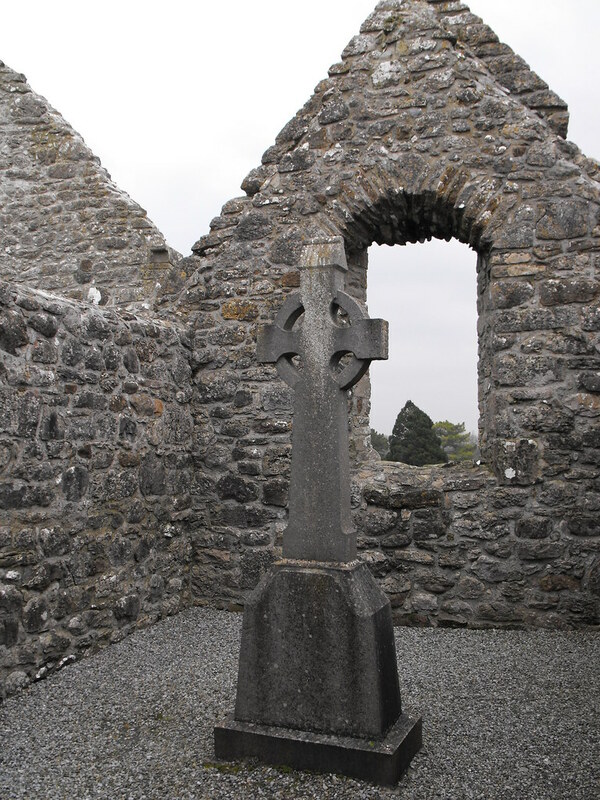 Location – In the main Clonmacnoise site, S of the Cathedral. Description and History – I’ve put these two churches together because they are adjoining and part of a two period structure. 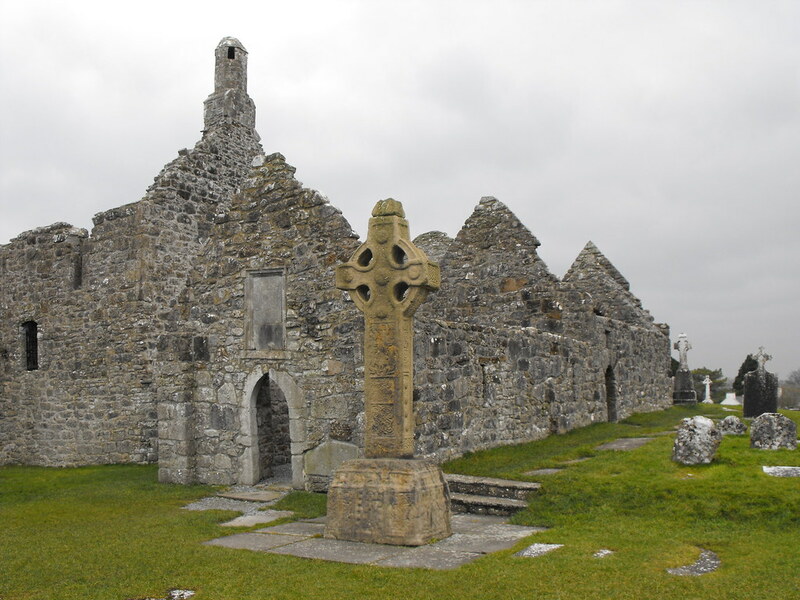 The earlier church, Temple Dowling (sometimes Doolin) dates to the 11th century but has elements that were rebuilt in the 17th century during which it acquired its name from Edmund Dowling who was the patron of this rebuilding. Temple Hurpan dates to the early 18th century and is adjoined to Temple Dowling. 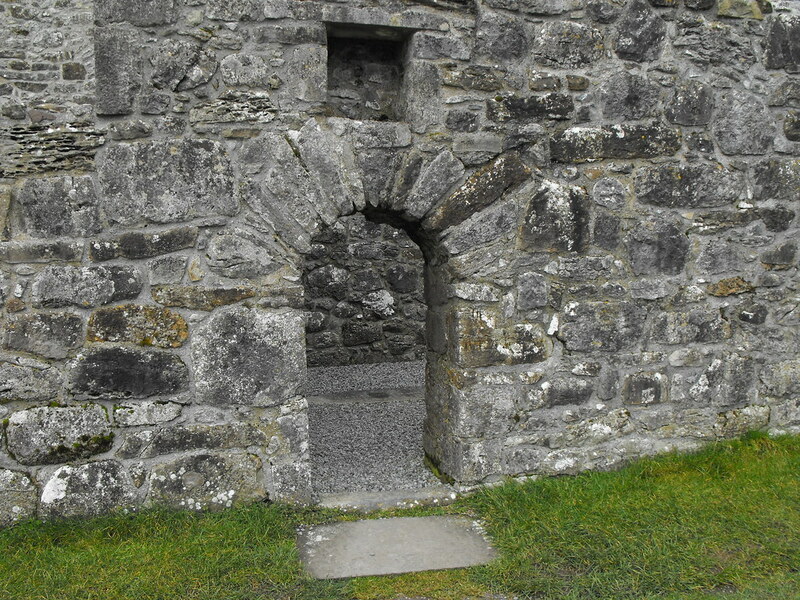 Parts of Temple Dowling are pre-Norman and large blocks, typical of pre-Normal churches, can be seen in the walls. 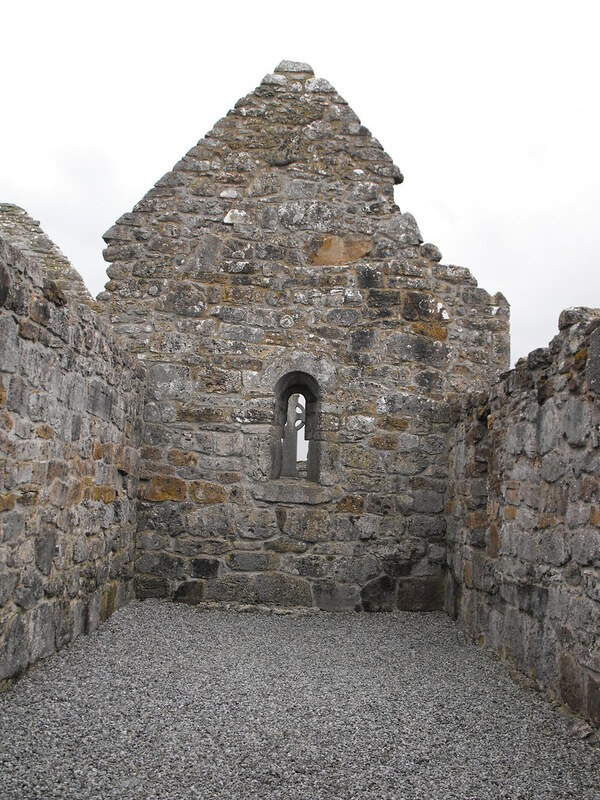 The E gable was heightened during the 17th century but the original window was retained. An early Christian cross slab has been inserted into the N wall. Temple Hurpan is larger than Temple Dowling measuring 7m x 4m. Apart from the large windows in this church it is largely featureless as most late medieval churches tend to be. I am very disappointed with the pictures of this temple. 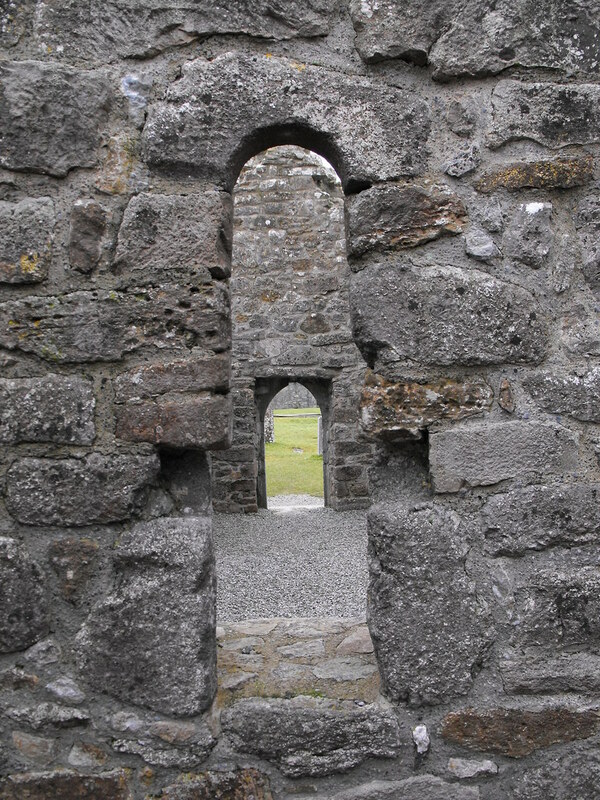 I think another Clonmacnoise trip is in order. Difficulty – This is tucked away behind the Cathedral. Back to the Clonmacnoise menu. Looking at the adjoined churches with the replica of the South Cross outside. The entrance to Temple Hurpan. 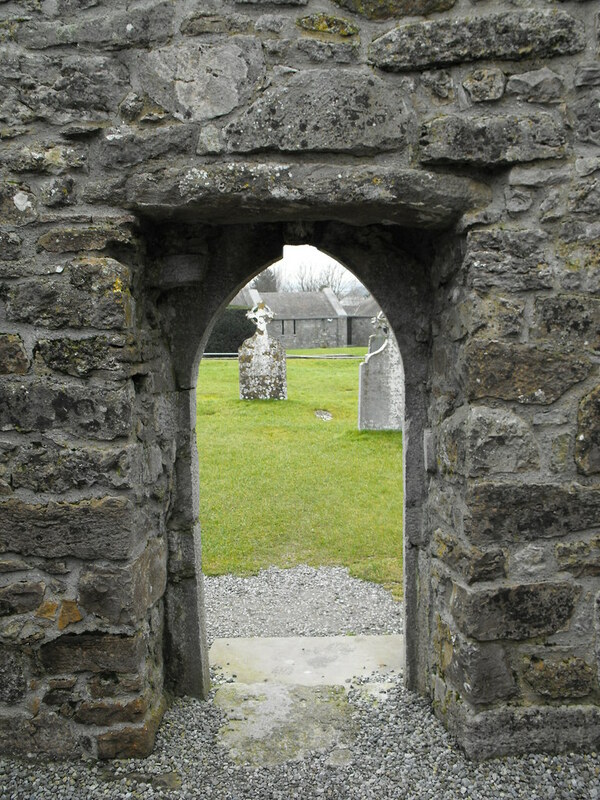 Looking through from Temple Hurpan into Temple Dowling.